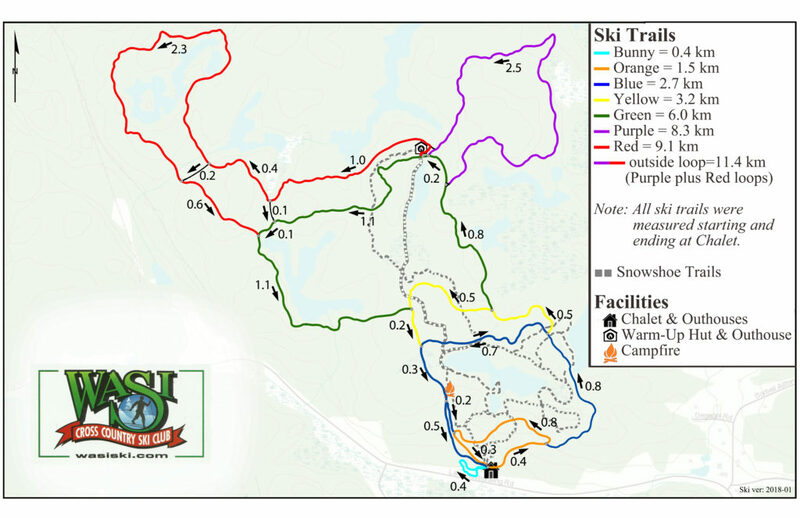 The map above shows our Cross Country Ski Trails. 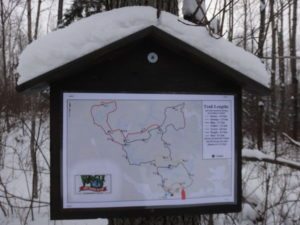 These maps are posted at every intersection on our Ski and Showshoe trails. 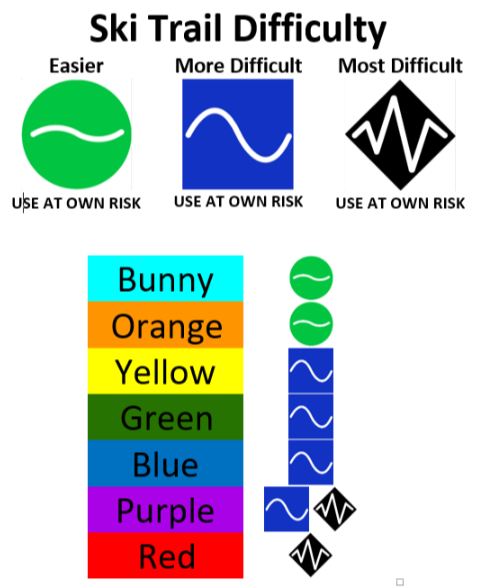 The chart to the left shows the difficulty rating of our Cross Country Ski Trails. You can download the map to your computer if you wish.